Our knives are made of many things: steel, aluminum and titanium, to name a few. But perhaps the most important part of a Benchmade knife is expertise. 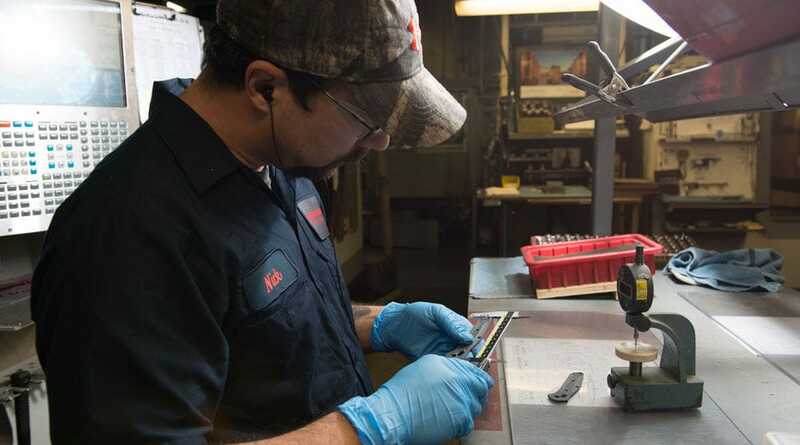 We carefully measure every part at every step in the process. We use the best materials and equipment. 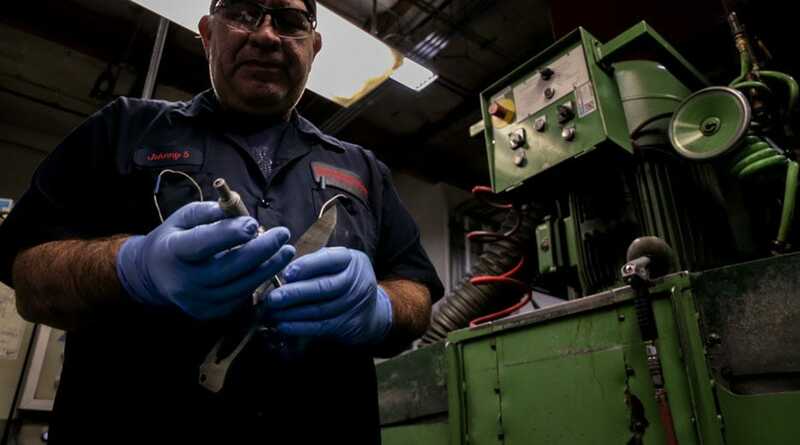 We make world-class knives for world-class users and this is how. Learn about Benchmade's history, the evolution of our knives and get a glimpse into the factory with interactive displays at our new virtual tour space. For factory store hours, click here. Every blade begins as a sheet of steel. 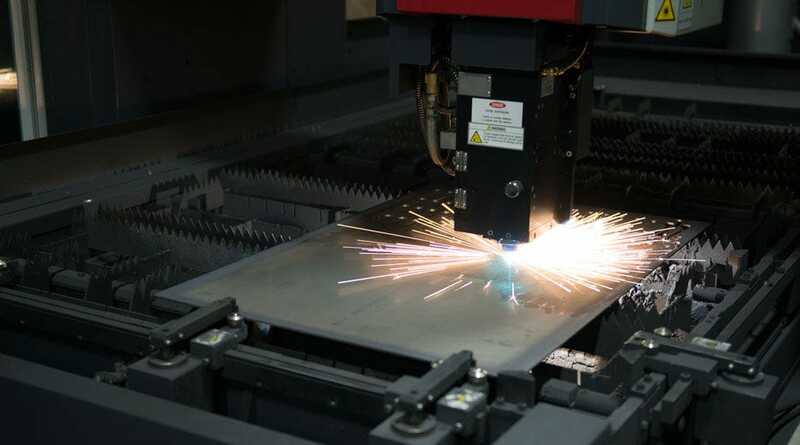 A laser cutting technician programs the laser to cut the steel into blanks, giving the blade its basic profile. 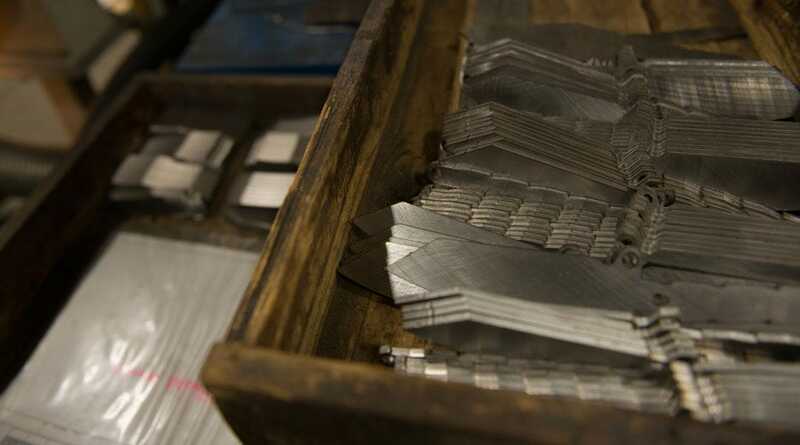 The blanks are hammered out of the sheet by hand, and for the first time, the steel begins to look like a knife. The blanks are measured to make sure they meet specifications. Measurements are taken every step of the manufacturing process to guarantee an impeccable knife and streamline production. If a part isn’t “up-to-spec”, it doesn’t become a Benchmade. This is where the blank is ground to its precise width. 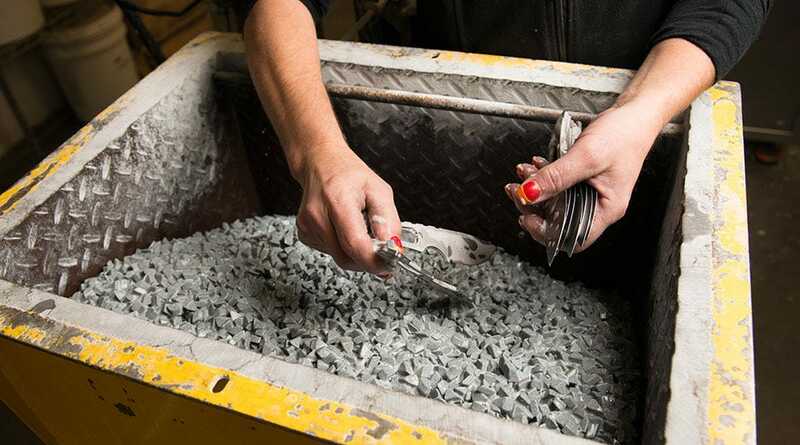 A surface grind technician places each blank in its rack by hand (racks vary by the number of blanks they can hold at one time), and each side is ground to its specified thickness. 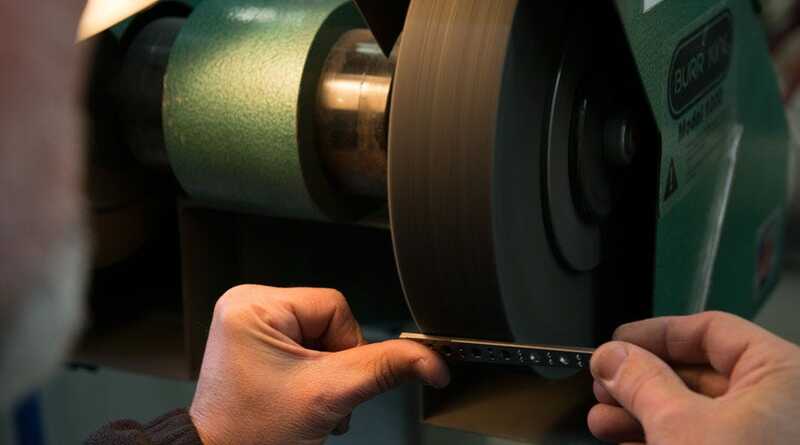 After grinding, the technician checks the thickness of each set of blanks. Tolerances are within the width of a human hair. Our knives have no room for error, and neither does a blank’s thickness. 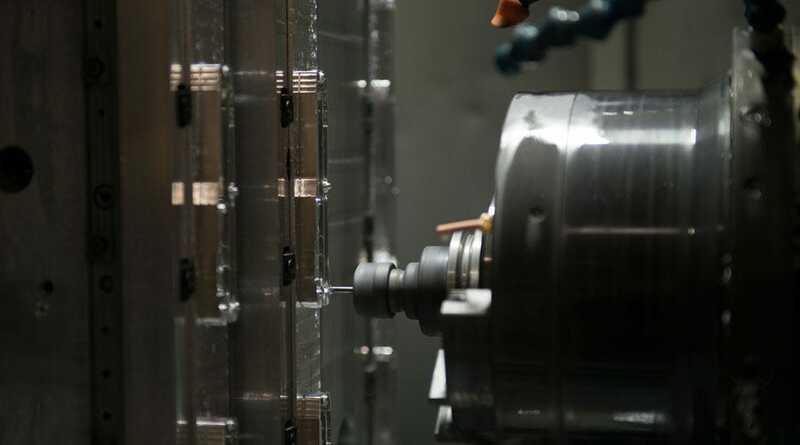 Blade holes, handles and grooves are cut on high-speed mills. 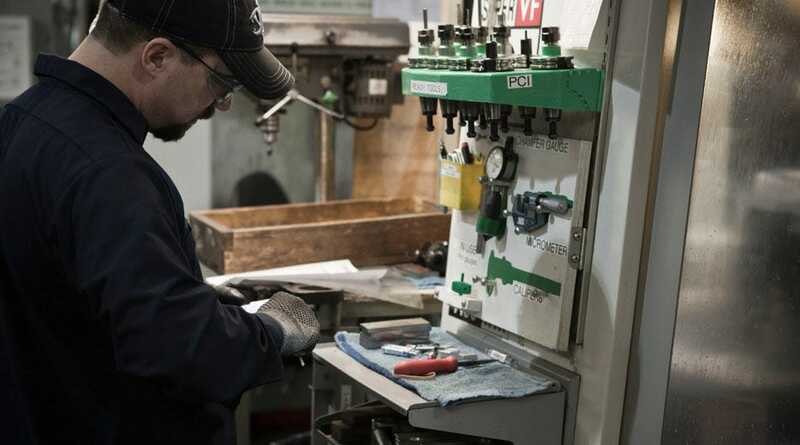 For every job (or batch), the blade milling technician programs the mill and measures the blade or handle to make sure it meets our precise tolerances. 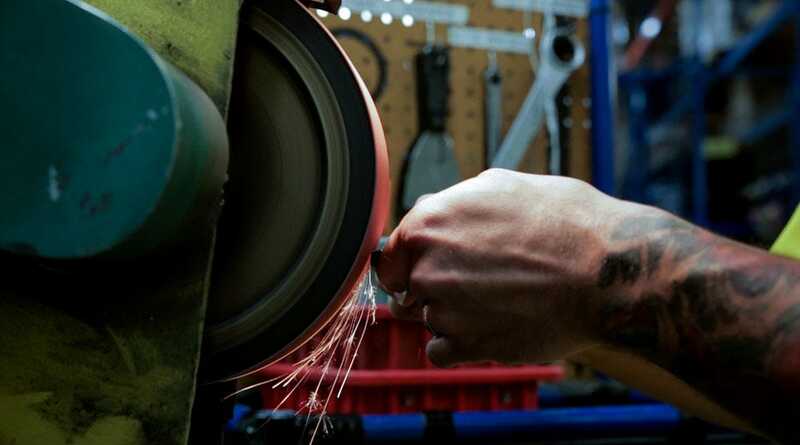 Blades and handles differ from knife to knife, so the technician gathers a specific set of measuring tools for each job. One of the holes that is cut here is the blade pivot, which is crucial to the folding mechanism. The pivot tolerance is .0005 inches, because the slightest deviation there becomes exponential at the blade’s tip. Handles require the same precision in order to fit the liners and blades properly and ensure a smooth mechanism. Now the blade starts to really take shape. Up to this point, the two sides of the blade are essentially flat. 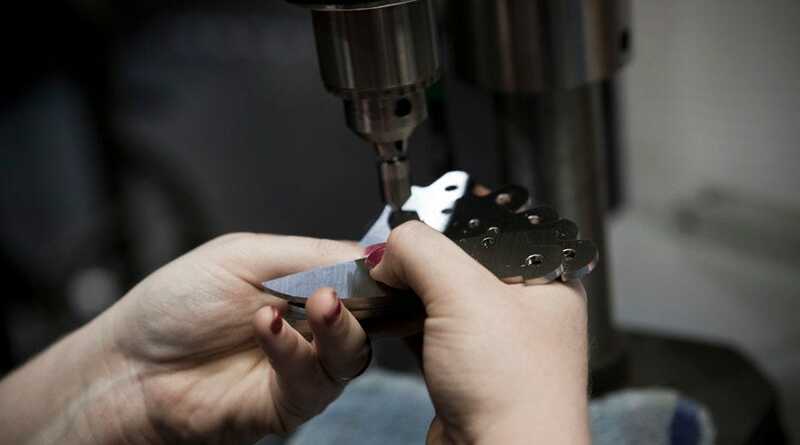 A Blade Beveling Technician bevels the knife blank one side at a time, and one of the most critical tasks here is to make sure the sides match perfectly. 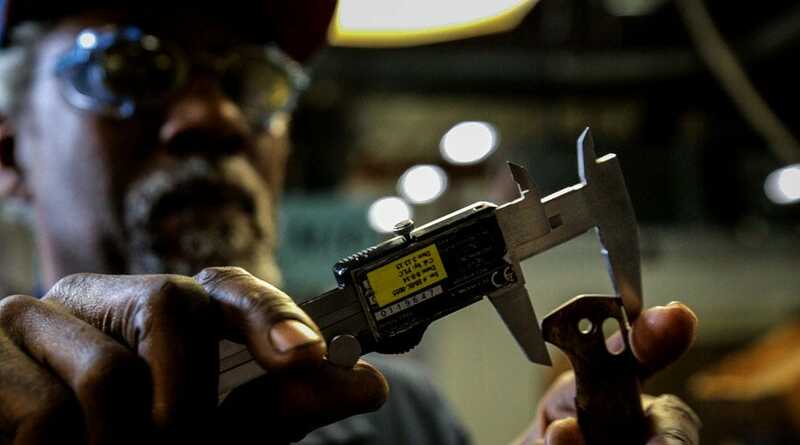 Once again, the technician measures the blade to verify that it meets the specified tolerances. An imprecise bevel can hamper the blade’s balance, sharpness, strength and mechanism function. This is where the back of the blade gets special attention. The sides of the blade have been beveled and milled, but the back has been relatively untouched since the original laser cutting. 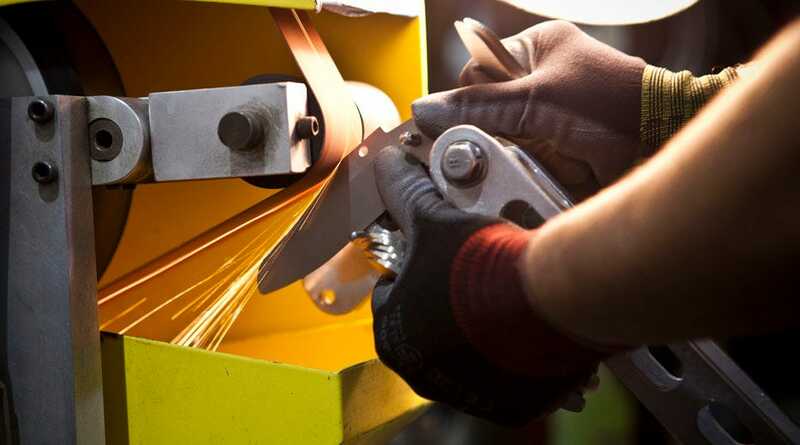 Each blade is attached to a custom fixture that fits the arm of a standing belt sander. The back-sanding technician sands the back of the blade until it is smooth. Every blade is back-sanded like this, one-at-a-time. Finishing gives the blade a more refined look. The finishing technician stone-washes the blades in a ceramic medium to remove any burrs and give the blades a clean, polished appearance. The medium itself can vary in size and shape depending on the specific finish of the blade. 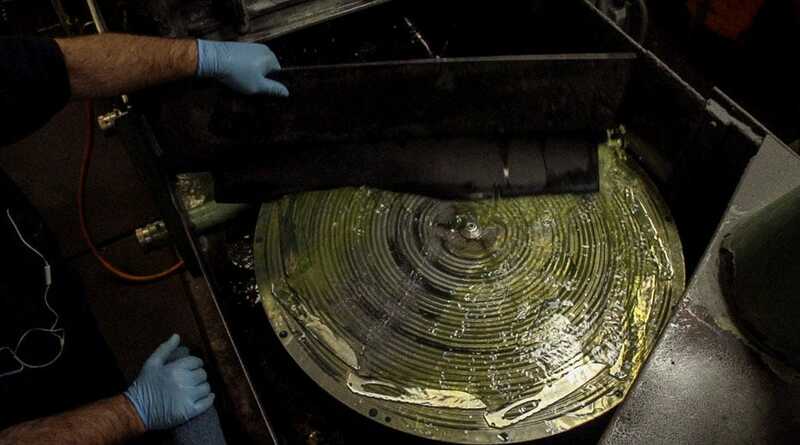 For example, every 300 Axis Flipper blade endures the large stone-wash medium for two hours. 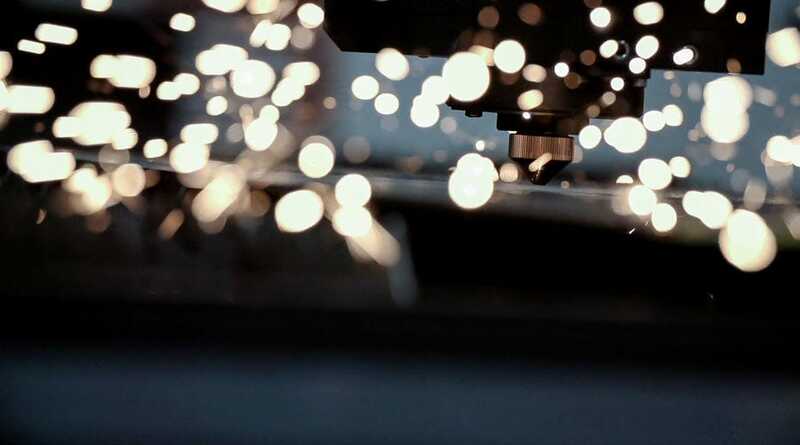 When the blade is cleaned up, it is taken to lasermarking to receive its one-of-a-kind Benchmade mark. 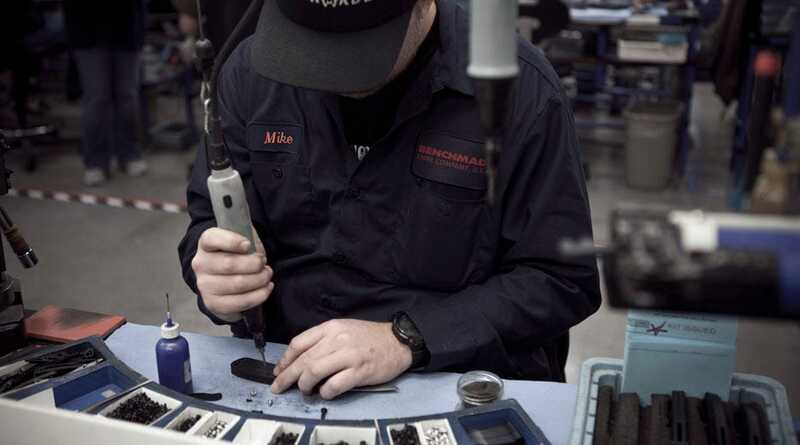 Every Benchmade knife is assembled by hand, and it’s no surprise that there are more hand operations performed at this point in a knife’s production than at any other stage in the process. 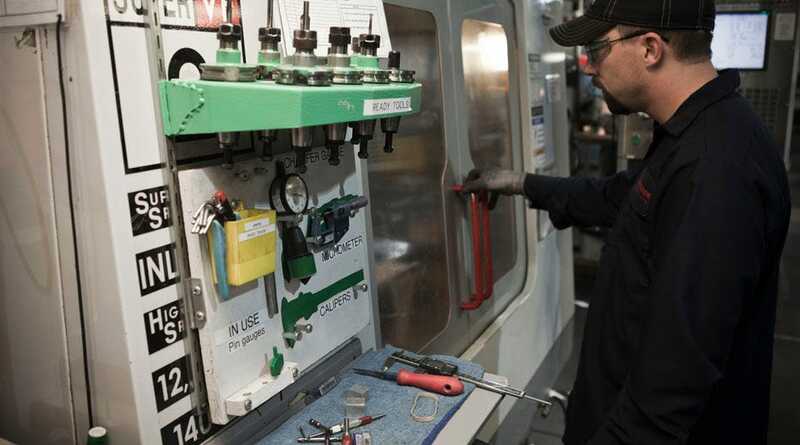 An assembly technician receives all of the components — blade, liner, handle, hardware — and carefully pieces them together. 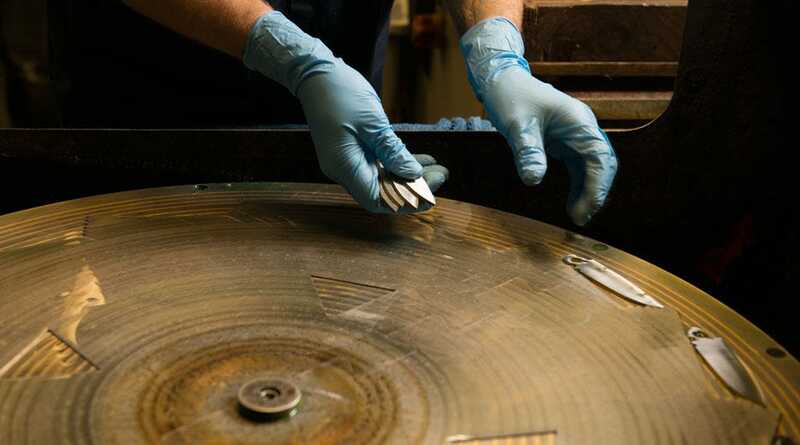 The technician checks the knife for blade play (movement from side-to-side and up-and-down), and the result is a knife just waiting to be sharpened. It takes longer to master blade sharpening than any other skill. 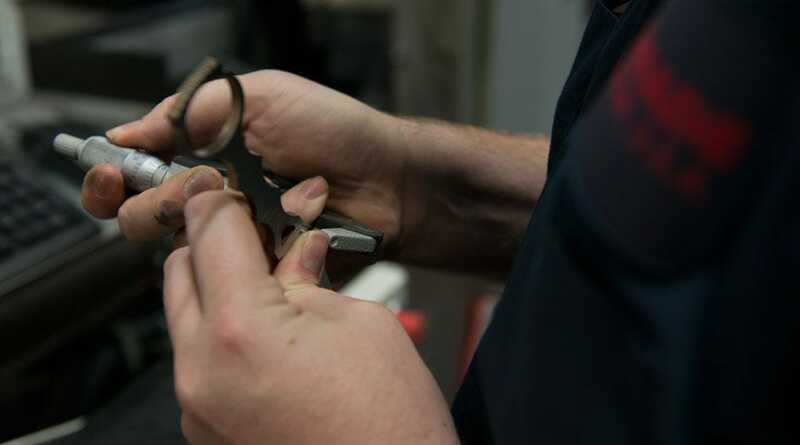 A sharpening technician puts a razor edge on the knife using a standing belt sander, and this step takes extraordinary concentration. 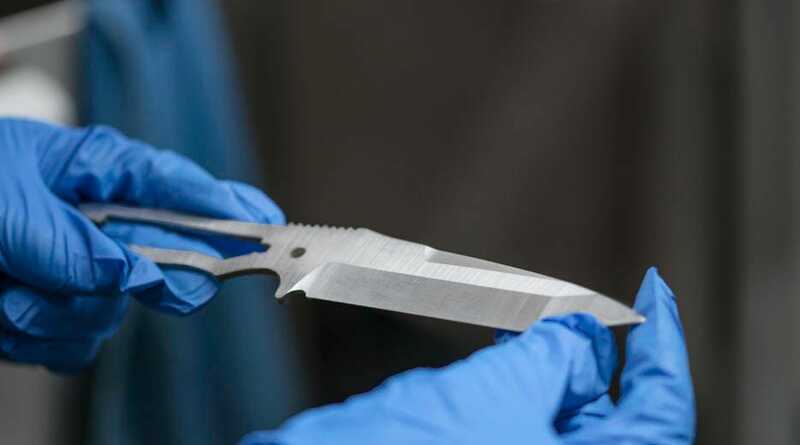 Each blade is sharpened to a targeted 30-degree inclusive angle, 15 degrees on each side. The knife is sharp enough when it can cut through ultra-thin phonebook paper effortlessly without tearing. And only then is it truly a Benchmade. 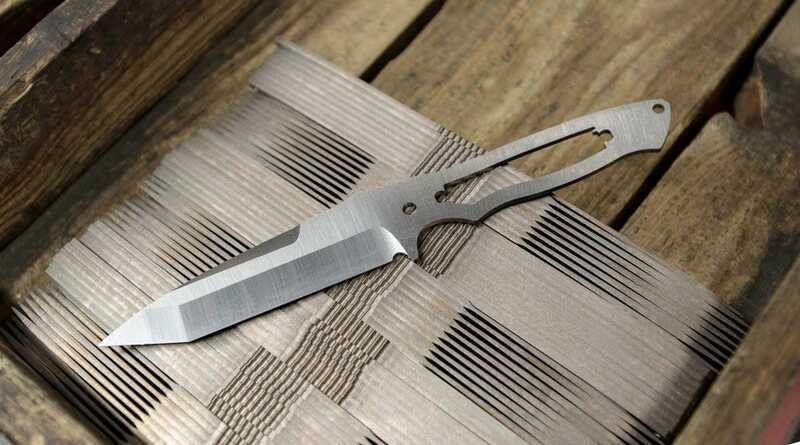 There are up to 35 different people who handle the materials for manufacturing and building a single knife.